A matching pair of war memorials have been installed in Trimdon Village’s two churches to coincide with the centenary of the outbreak of World War One. Two brass plaques have been designed for each church to complement the existing memorials in remembrance of those killed in World War Two installed in the 1970s. One set has been installed in St Mary Magdalene (Anglican) Church and one in St William’s R.C. Church. The brass and hardwood plaques were manufactured by local firm Identitag, one commemorating the service of people of the Trimdons since 1914 and the other in remembrance of those killed in the Great War. The project has also seen the refurbishment of the existing plaques. The project has been led by Adam Luke from Trimdon Village with a large coalition of community groups, local schools and the Royal British Legion, and has also seen the production of a detailed Book of Remembrance listing all 269 men from The Trimdons and Deaf Hill who have been killed on active service since 1914. The memorials form part of wider commemorations in the Trimdons including the Vigil Service and exhibition earlier this year. The next event is the annual Royal British Legion service in St William’s RC Church on Sunday 9th November at 6pm. The service coincides with the 150th anniversary of the church and will also include a display of WW1 memorabilia by Eileen Dickinson. 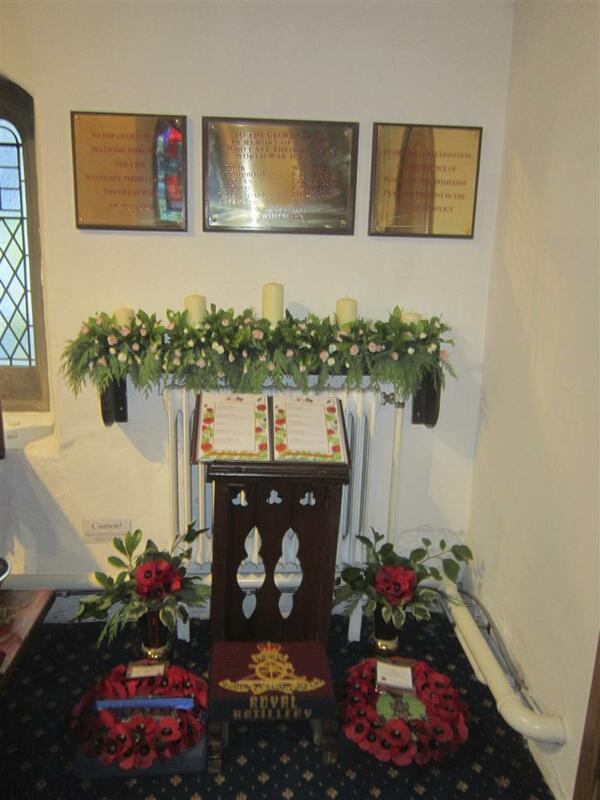 The plaques in St Mary Magdalene and the Book of Remembrance were blessed on 4th August to commemorate the centenary of the war’s outbreak. The set in St William’s will be blessed on Remembrance Sunday.